• Avoid licking your lips. Our saliva has certain chemicals that take away the natural oils from the lips. • Keep yourself hydrated. Drink at least 10 to 12 glasses of water every day. • Use lip balms or petroleum jelly on your lips when they dry. • Avoid using lip care products which have alcohol in them because they can dehydrate your lips. • Cover your lips/mouth with a scarf on a sunny day. 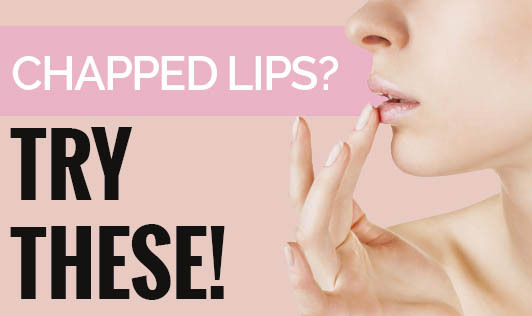 • Avoid peeling the skin on your lips when they are dry. Wash your lips with warm water to soften the dead skin and then remove it. • Lip care products which are fragrant and have dyes can be allergic. So, avoid them.